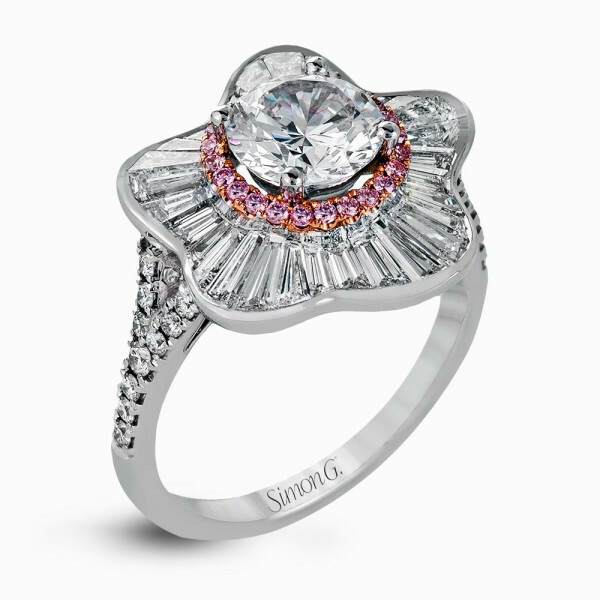 This Simon G. engagement ring setting, part of the designer's Duchess collection, features a floral motif. 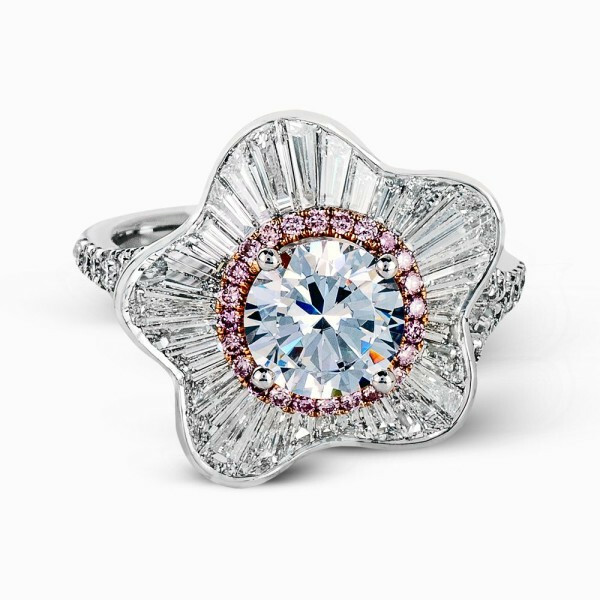 Crated in 18kt white gold, your center diamond will be surrounded by a halo of pink diamonds set in rose gold, from which petals of diamond baguettes reminiscent of a soft-sided five-point star blossom. 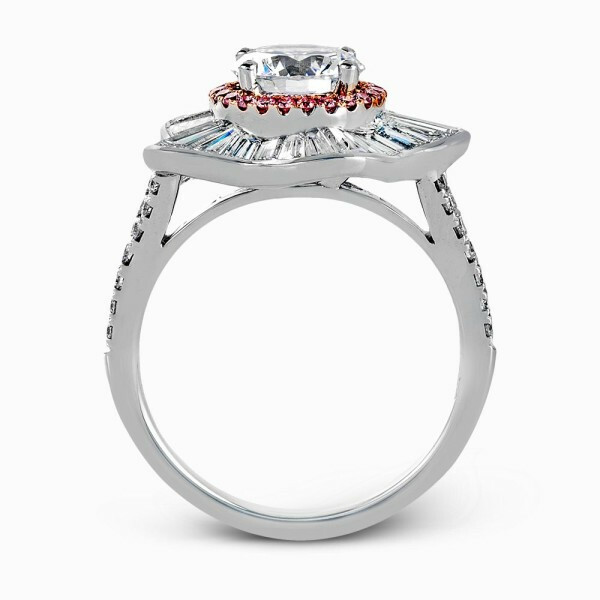 This bejeweled flower rests atop a diamond-dotted band. This engagement from Simon G. is elegant and ethereal.